The Golden State Warriors unveiled a design update for their new sports and entertainment centre at Mission Bay today, including new full-colour renderings that offer the public a glimpse of what the venue will look like when it opens in time for the 2018-19 NBA season. We believe this plan is a perfect fit for Mission Bay, for San Francisco, and for the entire region. Our goal is to not only build a world-class arena for our team and our fans, but also create a vibrant place that residents and visitors will want to enjoy, whether on game days or any other day. The new entertainment centre will be built on 11 acres of private, inland property, bounded by Third, 16th and South Streets, and Terry Francois Blvd. The new Warriors sports and entertainment centre is going to activate Mission Bay in new ways and create a 21st century fan experience and a premier entertainment experience for concert and convention-goers. It will serve as a ‘digital’ meeting place, with state-of-the-art amenities, unbelievable sightlines and new views of the Bay. The Warriors’ project will also trigger the construction of a new five-and-a-half-acre waterfront park that will feature water-oriented activities and large lawn areas, which can accommodate a variety of recreational uses, similar to Marina Green. The Warriors secured the site in Mission Bay in April, and it involves no public property and no public subsidy. This is perhaps the only professional sports and entertainment centre in the nation that is being built entirely with private money – not just for the arena itself, but for the land. That reflects this team’s commitment to the Bay Area. We’ve been the Bay’s NBA team for over 50 years, and we want to be the Bay’s team for the next 50 years. The Mission Bay site, which is a key piece of the long-planned Mission Bay redevelopment puzzle, is well served by public transportation, and borders Muni’s Third Street Light Rail. The location is also within a few blocks of Caltrain, and BART connects via an easy underground connection to Muni, both at Embarcadero and at Powell Station once the Central Subway opens in 2018. The Mission Bay neighbourhood already has more parking spaces than Oracle Arena, and a new I-280 freeway connection at Mariposa Street will land less than a block away. Mission Bay, a former redevelopment area that became the home of UCSF’s second campus and a variety of new 21st century businesses, has been emerging as a modern urban centre for the past 15 years. The Warriors’ new home will be within walking distance of several public plazas, parks, restaurants and retail corridors. AT&T Park is only a few blocks to the north; the Dogpatch, Potrero Hill and Bayview-Hunter’s Point neighborhoods are just to the south. We’ve learned a great deal throughout this process. This new design is the culmination of excellent community input and a commitment from this franchise to create a world-class design that San Franciscans will be proud of. It’s an ongoing process, and we will continue to involve the public as we move forward. Craig Dykers, of Snohetta, is the Senior Design Advisor and a key member of the Warriors’ design team. The Warriors will announce architects for other elements of the project, including the office buildings, in the coming months. The Warriors first arrived in San Francisco from Philadelphia in 1962 and played their first nine seasons in the City by the Bay. The Warriors’ new ownership, led by Lacob and Guber, purchased the team in 2010. In 2012, the team announced plans to build a new sports and entertainment facility in San Francisco. The team has targeted the 2018-19 NBA season to debut its new arena. 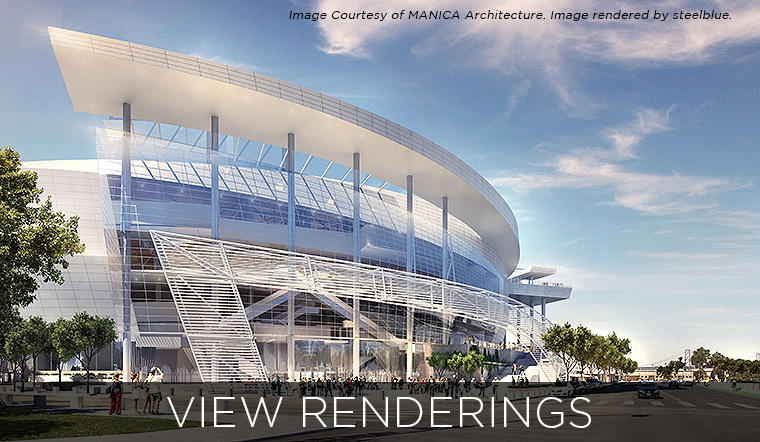 View renderings, project details and much more at warriors.com/sf.